This little chunk of Rhyolite (I think) started life as a classroom demonstration on cutting freeform cabs. 26mm x 24mm x 5.5mm. Weight: 21.90 carats. Do you like Rhyolite Cabochons? 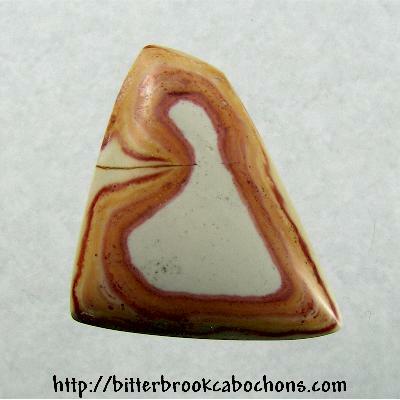 Click here to see all of the Rhyolite Cabochons on the site!